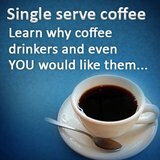 Is single coffee maker really so good? 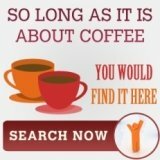 Single coffee maker also know as single serve coffee maker is the new darling of the coffee maker industry. Industry watchers say that this coffee machines take up rate is 1 for every 4 coffee brewers purchased. 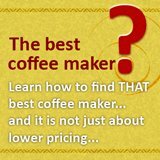 What is it that makes the single coffee maker so popular? Personally, I think it has to do with the value add that this machine is able to add to the urban lifestyle of the coffee lovers. if we examine one of the more popular brands, keurig coffee maker, the first thing that you noticed about this coffee maker which is representative of this genre of coffee machine is the sleekness. The single serve coffee makers are all very compact, this design is meant for folks living in the city that do not have much kitchen top space for kitchen applinaces. Immediately, you noticed the first value add. However, it is the operation of this machine that is the driving force for the high take up rate from consumers. While, is it a known fact that folks do not really like instant coffee, nobody can deny that they hate the tedious method of preparing gourmet coffee. So, somewhere along the way, some one marry these two ideas together and you have your single coffee maker. A machine that produces good coffee instantly. 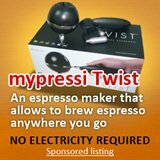 All one need to do is to insert a coffee pod, press a button and enjoyed the gourmet coffee. Another bane or grouse from people using coffee makers is the cleaning, for single coffee maker, all one need to do is to discard the spend coffee pods, wipe the interior of the machine and that is about all. Personally, I would think the ease of maintenance is an even bigger draw to own the single serve coffee machine. Nobody likes to clean coffee makers, and the machine that is the easiest to clean is usually the most favored. There was a slight drawback about these single cup machines in the form of closed system, which meant that you have to use the brand of coffee that the machine manufacturer dictate, but that issue has since been solved by companies such as coffee ducks and perfect pod maker. 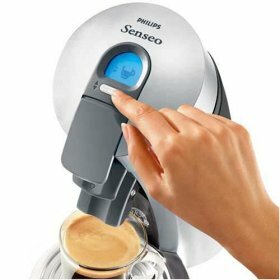 So, now the single serve coffee maker is one that can dispense many varieties of gourmet coffee instantly and is almost maintenance free. Tell me, if this is not good, what is?